One of the nicest and well kept mobile's that you'll find!! This wonderful three bedroom, two bathroom home in the quaint village of Ferintosh will not disappoint. From the moment you step inside this lovely home your greeted with a bright and warm floor plan. Included in this perfect property are all the appliances and a brand new wall bed unit with built in book case. Outside is nothing short of spectacular with its park like setting, huge yard(two lot's), shed for all your tool's, superb garden area, huge over-sized heated double car garage, RV parking and more. 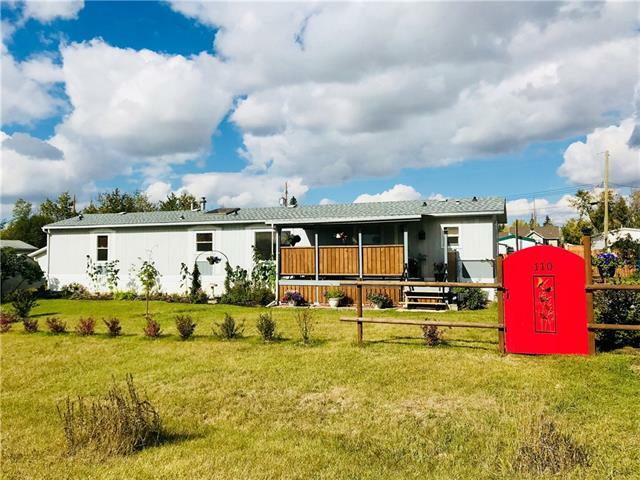 Ferintosh is ideally located only 20 minutes from Camrose, 10 minutes from Bashaw and New Norway and has a beautiful lake with walking/skiing trails, hotel and more. Take the drive out, you wont be disappointed!